In the beginning, everything is great. You meet, you fall head over heels, and you want to spend every moment with this incredible, new individual. Next thing you know, it’s four years later, you’re married, and you avoid checking your cell phone because their might be a text from your spouse asking, “How was your day?” This simple, innocuous, even caring message dredges up feelings of downright dread, because you’re certain there is nothing you could possibly say to each other that has not already been said. And you wonder: What happened? Think about your relationship for a moment. Why did you get married? Was it to have and to hold with a death grip? To love, cherish, and smother? To surrender every bit of who you are? Or was it to embark on a journey together as a conscious, dynamic team? Like most married couples, you probably started out with the best of intentions, the highest ideals, great love and hope. But somewhere along the road, you lost that vision, and now you’re both wandering around in a dark place, still together but feeling very much alone. If you look closely, you will realize that parts of both of you have changed or grown over time. You’re not the same two people. And so, in order for the relationship to continue to thrive and be successful, it must adapt to these changes. 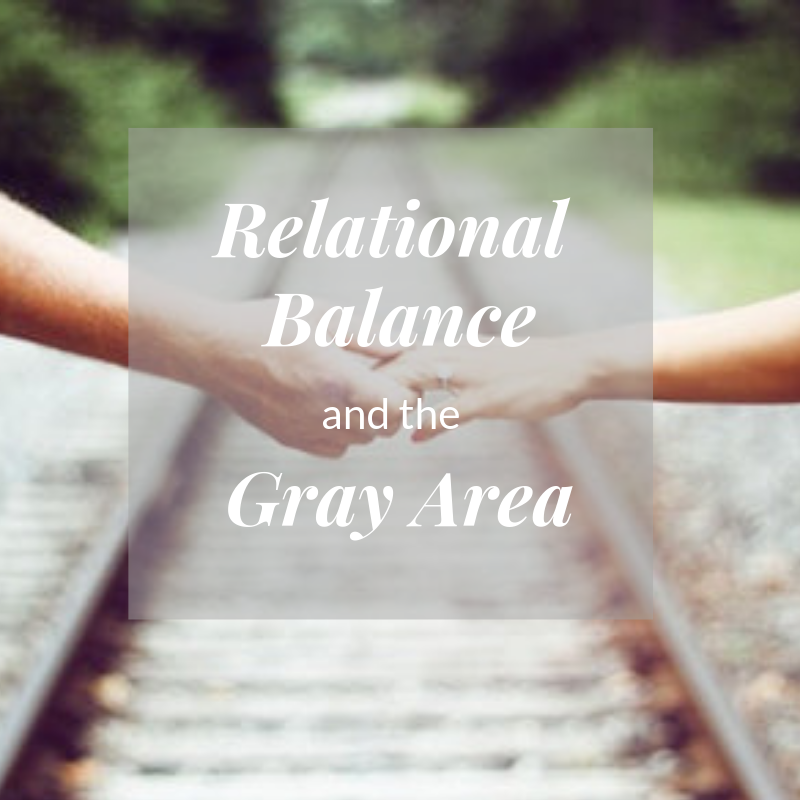 When I think of a marriage, I picture a Venn diagram: two circles—one for each spouse—that overlap to create a shared section, a shaded or gray area. Sometimes, those circles move closer together, thereby increasing the area of the overlap. In other words, the relationship expands, as in the early phase of courting, for example. At other times, the circles may move far apart, indicating that the relationship is struggling. Perhaps the partners have become more like housemates, disconnected or even emotionally distant. This flow and movement is natural, but it needs to be kept in balance. While the overlap is where the relationship exists, each circle is complete on its own and independent from the other. A marriage is a partnership comprised of two separate individuals. In order for a marriage to remain healthy and fulfilling, each person must maintain his or her own independence. Nourishing outside interests and friendships and spending time apart is crucial, vital to one’s own mental health and well being. This, in turn, feeds new growth and excitement into the connected, relational piece of the marriage. It may seem contrary, but more attention to self-care and personal development leads to a greater appreciation of the relationship. When all is said and done, we cannot depend on any relationship—including marriage—to make us happy. Nor can we expect another person to do so; other people simply do not hold this power. We must look to ourselves to create our own happiness, and in so doing, we also become better partners.